BUGFIX Fixed a case of patching errors. If you've encountered problems since the launch of 4.21, please try patching again! BUGFIX Dragon's AoE fireball now deals the same damage to each target hit, rather than the second target taking more damage than the first, etc. 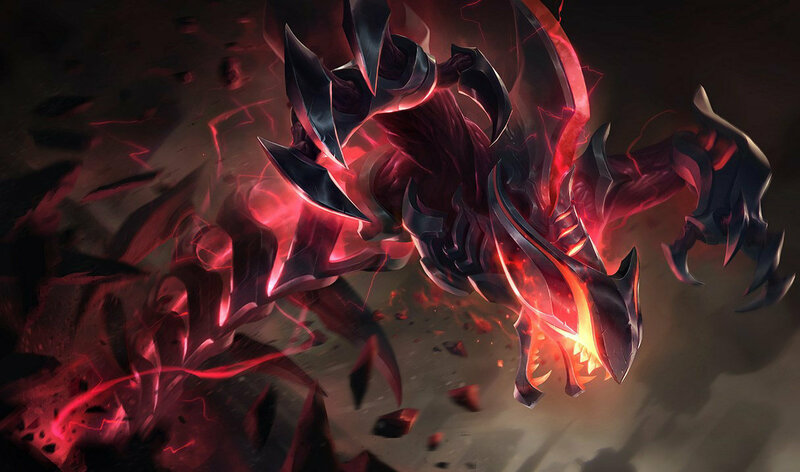 Rek'Sai, the Void Burrower, will be released a bit later during Patch 4.21! More bugfixes and we're making Azir a little smoother to play. Having tweaked Azir just last patch, we're looking to see how he performs from here before really changing his power level. So... bugfixes. Always bugfixes. I THOUGHT WE REMOVED DODGE Fixed a bug where it was possible for targets to walk out of range of a soldier's attack, causing the attack animation to play but do no damage. I SHIFT IN YOUR GENERAL DIRECTION Fixed a bug where casting Shifting Sands outside of its cast range would always cause Azir to walk into range. Shifting Sands now checks for the nearest soldier to your mouse and immediately goes there if the soldier is in range, no matter how far from Azir the mouse was. SPEEDY SHIFTING Fixed an issue where Shifting Sands would fail to be queued up during a cast of W - Arise!. Now pressing W + E together should always create a soldier and then instantly move Azir to that soldier. Note: there's a similar problem with pressing W + Q together that we have not fixed yet but are looking into. Cassi's recent update definitely gave her the late-game we intended, but at two great costs: her early-game strength, and her identity as a 'Poison Mage.' We're trying to smooth out a bit of Cassiopeia's power here with some early buffs alongside some guaranteed scaling on her passive so that she can hit her early-mid-lategame fantasy (that is now a word) at the appropriate times. In short, we're looking to reach a middle ground between the update and her original feel of killing you slowly with venoms. Just quicker. (And with more venoms). STACK CITY Cassiopeia builds a stack of Aspect of the Serpent on every poisoned unit kill or on Twin Fang cast on enemy champion ⇒ once every 6 seconds (10 times per minute) and for every second that an enemy champion is poisoned. IT'S A BUFF WE PROMISE Cassiopeia gains special bonuses at 75/200/400 stacks ⇒ 100/250/500 stacks. The new breakpoints will be hit sooner than the old ones based on the new stacking mechanics (above). EVERYTHING IS NORMAL Fixed a bug where Noxious Blast's delay wasn't actually normalized (it was hitting anywhere between 0.25 seconds and 0.5 seconds). Now has a flat 0.4 second delay. newLOOK AT THIS SYNERGY Twin Fang now adds a debuff on the target that amplifies further poison damage by +20% for 5 seconds. This debuff stacks up to 2 times (capping at +40% poison damage). Life's hard for a Cho'gath. You want to eat your enemies, they don't want be eaten, and all it takes is one little death to set this poor little monster back. These changes should help Cho get back into the fight, but we also wanted to create bigger decisions between saving Feast for a kill or nommin' down on some creeps. newHUNGRY HUNGRY CHO'GATH Feast now has 50% of its cooldown and mana cost refunded if it kills a minion or monster. Oh Corki. We've known about your strengths for some time, but we're always careful about balancing you because you're rarely a 'standout' in any particular category (unlike, say, Tristana or Kog'Maw who you know are strong when they're strong). But with power reductions coming for Lucian, we know you're up next on the "very strong, safe marksmen" list in competitive play, so we're taking some cautious steps to keep you in line as well. Lunar Rush still gets the reset if Diana casts it on a Moonlight'd target but is interrupted mid-dash. When getting the reset, two things can go wrong for Diana: missing her Q, or having R interrupted. Cancelling R not only removes all of Diana's damage options, but often just leaves her dead in the water, so we're throwing her a lifejacket (check that metaphor). As long as you target a unit affected by Moonlight, Lunar Rush's cooldown will be refunded even if the dash was cancelled. This change makes it a little easier for those hoping to become the living embodiment of the vengeful moon. That line's in the tooltip. We wrote that. Terror's always kind of been Fiddle's thing, and he's certainly a pretty big one (terror, that is) given the current jungle environment. With that in mind, we're looking to drain some of his less-clear power and add more consistency (for him and opponents). Galio's ultimate has two major risks involved - either he's crowd-controlled during its channel or his opponents buy Mercury Treads. We like the teamplay that comes from coordinated interrupts but find it a little sad that tenacity messes with his flow so much. Is now fixed. newYOU'RE STUCK IN HERE WITH ME Idol of Durand's taunt is no longer reducible by tenacity. IF HE'S MAKING A CRATER SOMEONE'S GONNA GET HURT. newARE YOU CALLING ME FAT Fixed a bug where Jarvan would sometimes fail to do damage if he was killed quickly after landing from Cataclysm. Note: Jarvan still won't deal damage if he's killed mid-air, but if he's able to land and create the wall, he should always deal damage. Jax's E and R scale better into the late game. Surprise - he's back. 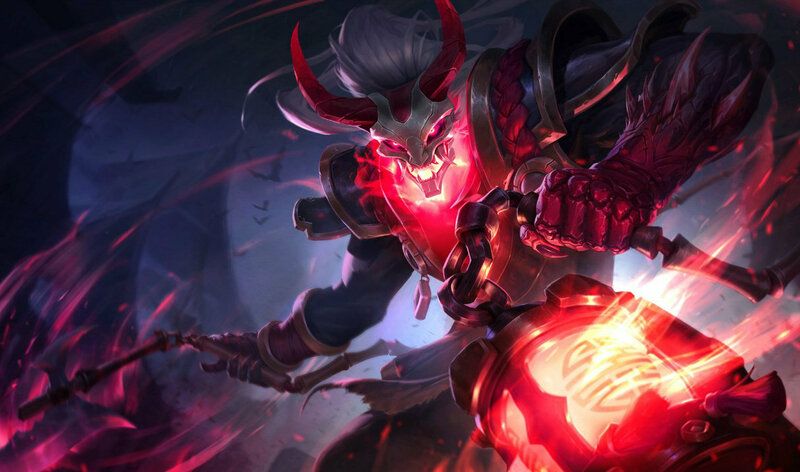 While it hasn't been too long since Jax's reign over top lane, now that his laning power is a little more manageable we think we can give him some more late game love as a reward for getting through the early to mid phases. Before this change, you could activate Hyper Charge, wait a bit, then Double Hyper Charge someone, doing 'The Most Damage In League of Legends' (maybe?). It was unintended and kind of goofy. Recent updates to the way buff icons are shown have made telling what weapon Jinx is using a little chaotic (and not the kind she prefers). We've changed it so Switcheroo's icon is always the gun you're currently using, and added a flashy-toggle swirl to show you're spending mana while using Fishbones. TOGGLE SWIRLS!!! When using Rockets, the ability icon will flash (like Ashe's Q) to show that Jinx is now in "mana spending mode"
More early damage on Rend, Usability buffs to Sentinel's passive, and a tightening on Fate's Call to make Kalista's early levels more smooth. Whether you think she's the second coming of Beta Twisted Fate or just another marksman in the crowd, it's clear to us that Kalista needs a bit of love to reach her full potential. Refunds to Rend will let savvy Kalista players stay afloat in lane, while some extra damage makes it more worthwhile for her to land extra attacks in extended trades. Playing her Oathsworn Ally's gotten easier too - we've added an execute function to Sentinel's passive to help you feed your baby vengeful spirit some much-needed gold, while tag-teaming teamfights with Fate's Call should feel more responsive. Finally, eternally giving your soul up to a quest for revenge (and really cool initiations) is too big a deal to be decided by a simple mis-click, so we're letting Kalista rebind before a certain point in the early game. You'll now have 3 minutes to get over your cold feet before you're stuck with her for the rest of your existence. No pressure. newIT'S LIKE TARGON'S If Sentinel procs on a minion with 125 health or less, it will automatically kill that minion. General quality-of-life buffs for this weird lookin' Yordle. 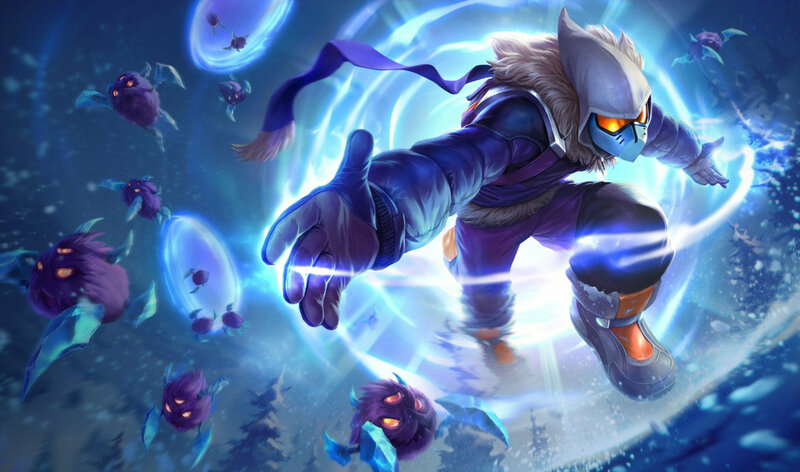 Like many champions before him (Veigar, Karthus, and Cho'gath come to mind) Kennen has been held back by inconsistencies in the timing of his abilities. After a much-needed round of re-coding, we've fixed an issue with Electrical Surge while also tuning Slicing Maelstrom. It's worth noting for Kennen's R that this is a slight late game nerf to his single target ult burst, but a buff to his area-effect speed. TOOLTIP CLARITY! Slicing Maelstrom's tooltip now reflects the duration of the storm rather than maximum number of strikes. Its duration has always been 3/4/5 seconds. Lucian is a character that's carefully defined by his low combat range (500) and being opportunistic to succeed within it. These changes are more along the lines of pushing that while creating more windows of opportunity against Lucian. We do say windows of opportunity a lot. Waaaaaay back in 4.3 (That's February! Hi Vel'Koz! ), we changed fear mechanics across the board to make the affected unit move away from you instead of in random directions. Unlike other champions, however, Nocturne has lacked a way to really capitalize on the consistency of his newer fear. So we're fixing that. Also, this means any of Nocturne's spooky friends (Shaco, Fiddlesticks, Hecarim, Lollipoppy) can set him up for some sweet ganks. As some who benefited a lot from the Preseason changes, Pantheon fits well within our expectations for a jungler: his ganks are amazing and he really benefits from the itemization paths available (see: Warrior enchant, Stalker's Blade, etc). From a durability standpoint however, Aegis Protection's been giving Panth a free pass in terms of health-pool, making him head-and-shoulders above other Assassins/Fighters when it comes to ganking-uptime. We're lowering his attack speed to make his passive proc less often unless he focuses more of his mana into casting spells, which translates to a riskier jungle for him overall. To slightly compensate (and make his combo abilities better), we're speeding up Pantheon's attack frame animations, which gets a little complicated but basically means he completes attacks faster but doesn't attack faster overall. Sej has more base mana, Q no longer scales with max health but just does straight magic damage. W and E are more focused on consistent damage over time. Winter is coming, and she's riding a boar. Sejuani hasn't been in the spotlight for some time, but in light of the updated jungle we figured we'd look back at some outliers. While Sej's far from the bottom of the ice-bucket, she's always suffered from not having incentives to stay in the fight compared to other tanks. Instead she just throws out her spells and then sits around waiting for them to recharge. 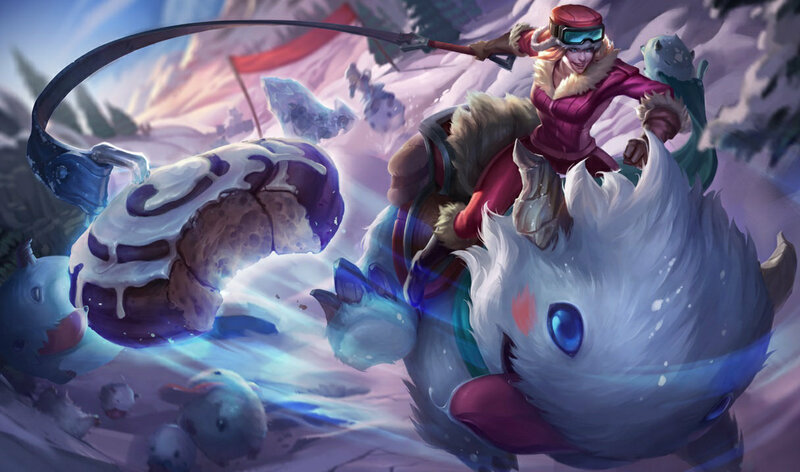 Seizing the opportunity to improve this, a lot of Sejuani's damage has been shifted out of her up-front burst (Q) and instead shoved into the damage-over-time of her Flail and Permafrost, making her a more active threat in prolonged fights. Sometimes icy hearts just need warm smiles. Or buffs for the holidays. Check out this awesome summary: Shadow Dash costs less energy. 20 less. Though Shen is no stranger to the shadows, we all remember how crazy this ninja gets when he's gets out of control. That said, we think loosening some of Shen's larger energy constraints is a nice place to push his power without instantly putting him on top. We're still assessing where he's at, but hopefully this allows us all to see a little more Shen in our lives. Or not? (He's not a very good ninja). Twin Bite has a slightly lower cooldown and Burnout now deals bonus damage to monsters. In light of her recent exit from popularity, Shyvana's a character that's been left without a clear identity. Is she a human? Is she a dragon? Is she viable? Leaning on her original jungling roots, we've decided to boost Shyv's clearing speeds so that she can be one of the faster farmers out there, opening her up to make cooler decisions than just shoving in top-laners and living forever. Soraka's base health regen and health regen growth stat have been reduced, but Astral Blessing's passive now scales better with ability power. One of the problems the Soraka update tried to fix were the times when she would just sit in the back and heal things without ever being vulnerable. In practice, however, Soraka's synergies with health and mana regeneration allowed League's Premier Healer to overcome these obstacles and amp her annoying meter all the way to 11. Thanks to the way regen works in the 2015 preseason, we're able to mitigate the effectiveness of this strategy by lowering her base stats, but we're adding more power into Astral Blessing's passive to reward the most accurate of star-snipers. Despite being an effective lane-bully, Varus's effectiveness is so heavily tied to his Q harrass that he often finds himself running out of gas when it comes time to leverage that early-mid advantage into a more substantial one. We think Varus is a pretty cool dude (if perhaps a little grumpy; all he does is grumble), so we're seeing if this small change helps him stay relevant into the late game. Warwick's popularity (and subsequent insanity in the win rate department, even though we don't like using win rate as a statistic because it's loaded with so many other variables but let's not get into that) is a perfect storm of changes to preseason systems, the jungle, and the latent powers within his kit. We all know Warwick should be lowered a peg (or two. or five. ), so we've decided to focus on Hunter's Call and Infinite Duress. We're going to be monitoring Warwick heavily to see if we need to go harder, but we're confident this reduces his power enough that you might actually be able to compete with him in games. 60%. Never forget. Now let's not talk about win rates again (seriously though, win rates are a correlation of game health, not a cause). We might have overdone it a tad with 4.18, so we're stepping back just a bit. These changes should maintain Yasuo's vulnerability to ganks in lane but give him a little more leeway to make plays with Steel Tempest. A wanderer isn't always lost, but that doesn't mean he's over-nerfed. What does that mean. We don't know. The last on our 'Naughty or Nice' junglers list, we wanted to give Zac a little more oomph for those who make it through his somewhat punishing early-levels. In-line with Zac's identity as initiator, buffing the knock-back effect on Let's Bounce! means finding fights at max-range lets Zac play more with his opponent's positioning to single someone out. We're continuing our comprehensive pass at the game's older character textures. As with parts 1, 2 and 3, our goal is to improve parity with newer releases and make sure everybody looks at home on the newly-updated Rift. Is anyone even reading this paragraph anymore? Turrets are worth more gold! One issue with Dragon getting stingy with his gold bounties is that the amount of accessible gold in each game has gone down. What that means is that players are having more difficulty hitting their mid-game fantasy item builds (that is now a term) at a reasonable time. Rather than just throwing gold onto everything, we're going to up the rewards on objectives that are already gold-focused so as to reiterate their strategic value. And diversity. We don't hate Mordekaiser or Malzahar, we swear. Our philosophy with the inner turret shield has always been about offering a broad strategic defense against poke / siege teams, and not a weird way to nullify damage-over-time abilities. That said, our safeguard against the latter wasn't very fine-tuned as the turret basically checked every second if a champion within range had been damaged and, if they hadn't, it gave them a shield. This lead to some weird timing issues where a DoT-ed champion could potentially cycle between being on fire while also getting shielded if they hit the right window. Hopefully this change removes that but, if it doesn't, we'll be sure to revisit this! The death timer is being unilaterally raised by 2.5 seconds. We've noticed that because objectives are so much more important (or everyone just wants to protect the Rift Scuttler crab...), team fights are also starting earlier and more frequently. While the extra action is great, lower death timers mean the victorious team doesn't have enough time to do anything after, which leads to a lot of combat without much progression in objective control. We're hoping for a better balance here, even if the change itself is small. Slightly less experience rewards for killing everyone. Echoing the above point, there are a lot more team fights in the early game so we're doing some light retuning to make sure things don't get out of control too quickly. More minion gold on the map! With every other objective on the map gaining more importance, we want to make sure that lane control strategies feel equally rewarding. You could call this a form of importance-creep (although you'd be weird to call it that) where things need to keep up in importance in relation to each other but, similar to our thoughts with Dragon not giving a global gold bounty, this was another place we could introduce some accessible gold. Minion health scales slightly less over game time. Apparently minions scale on their own very, very complicated math system that involves game time and some exponential factors, which is less than ideal for all involved. On a whim, we picked a random time (22:30) in the game and did comparisons, so we'll share some very odd math with you. It's worth noting this will have an impact on games but it'll be hard to tell from this changelist. MELEE MINION TOTAL HEALTH AT 22:30 About 4% lower in comparison to 4.20 minions. This difference grows slightly larger over time (maybe at about 8% - 9% lower in comparison to 4.20 minions at 50:00). RANGED MINION TOTAL HEALTH AT 22:30 About 3% lower in comparison to 4.20 minions. This difference grows slightly larger over time (maybe at about 7% - 8% lower in comparison to 4.20 minions at 50:00). We are constantly iterating on the updated Summoner's Rift! Summoner's Rift has received new music that changes throughout the game! You can now only buy items if you're on the physical platform. The space you could buy items on Summoner's Rift was always a bit odd (slightly oblong in favor of top lane), so we decided to have a CLARITY! intervention and re-did the boundaries. We do realize this is a small nerf to specific top lane starts that wait in base for extra gold before walking out with the minion wave, but it's something we've always wanted to do. So we did it. THERE IS NO FREE SHIPPING The shop purchasing area is now restricted to the physical platform. Fixed some exploits where players could not take damage from Dragon in a variety of ways. Real talk: those videos of low level Fioras soloing dragon are pretty cool, but there are obviously more abuse than "neat" cases, so action had to be taken. This does lower some of the nuance of the Dragon fight (ie: aggro dancing or running... a lot of attack speed on jungle Pantheon. Woo mastery.) and doesn't solve all low level solo Dragon cases, but it'll at least give us a better idea of what champs should have that threat versus those who shouldn't. Final note: Dragon's fireball will now pop Banshee's Veil, but we're aware of that interaction and are planning to keep it (for now). Now that Hand of Baron has CLARITY OF DESIGN, players have been pretty good about using it to its maximum potential. Unfortunately, this makes outlasting or enduring a Baron buffed team pretty tough, so we're lowering its duration to maintain its clear identity without teams getting steamrolled as soon as it lands. The power of the first Dragon Slayer buff has been reduced and the 4th stack / 2nd stack bonuses have been swapped. Right now we're seeing games snowball a little too quickly, and one of the culprits seems to be the Dragon Slayer buff. Of specific note is that second stack buff that lets a team double down on their map pressure, as they can objectively push lanes and take jungle monsters a whole 15% faster. We're not sure if that's a mathematically correct statement, but let's assume it is. SECOND STACK Now gives +15% damage to Turrets. FOURTH STACK Now gives +15% damage to minions and monsters. +1 to the number of attacks needed to stun a monster with the Heavy Hands buff. It turns out that a stun based on basic attacks + high attack speed champions = very strong junglers who can safely farm to infinity. In general, we're okay with Heavy Hands adding more safety to a jungle clear but, for some champions, it got a little obnoxious. The Gromp buff was designed to establish a baseline clear speed for tank junglers, as we expect most would rely on the toadstool armor over their basic abilities to clear camps. This is just an example of the ways we can tweak jungle parameters to benefit groups of junglers in healthy ways! You should probably ask politely to take a jungler's camp if you don't have a Machete. All that lost gold adds up man. We're seeing a lot of junglers having difficulty keeping up in gold generation, but if we just throw more gold onto the camps we'd probably see laners stealing monsters instead. This is a light first pass at correcting gold flow for junglers versus laners, but we now have the ability to go harder (or softer) if this is still a problem in the future. Design levers! We're currently happy with the magic resistance changes, except for Guardian Angel on squishy damage dealers. Right now, GA's got a preeeeettty big combine cost without providing much protection against Mages through its build path, so we're re-introducing Negatron Cloak as a stepping stone. See above, which will direct you to above that. So see above the above. While Negatron Cloak is here, we might as well use it in recipes that make sense. We don't see this as being a permanent fix for Abyssal Scepter, but felt we could make this change just to clean up the recipe. While there's less Magic Resistance in the build path, it also consumes less inventory space! Targon's Brace Spoils of War passive now executes at higher thresholds. We've heard this request quite a bit from supports who don't know how to last hit (just kidding), so... here you go. See above, but replace Targon's Embrace with Face of the Mountain. See above, then see above that. At this point we're going to repeat the joke about supports not being able to last hit. Ranger's Trailblazer no longer reduces Smite's cooldown. The goal of Ranger's Trailblazer was to either help a jungler double-down on their farming or help them get out of the dumpster when their teammate accidentally steals the first camp (or buff!). Unfortunately, reducing Smite's cooldown creates the wrong incentive as it gives all of the above advantages to junglers who are ahead while also letting them counterjungle and gank more by stealing enemy jungle buffs. Poacher's Knife is actually very impactful in counterjungling, but because we made it only track 'bonus' gold, the tooltip undervalued the actual use of the item. Changing the tooltip isn't a placebo, we're trying to reflect the contribution it brings! Attacking a Smited opponent now burns them for true damage over 3 seconds, rather than just dealing true damage on hit. Also truest damage. While we're running into a few abuse cases with Skirmisher's Sabre, the big reason we're changing it is because it's weighted so heavily in favor of dudes who can hit you in the face as fast as possible. Given our goal with the new jungle items was to open up different playstyles, we're balancing it out in favor of more champions. As for the bugfix, there are whispers of an ancient form of damage in League of Legends - truer than True damage itself. What that actually means is we have a tier of damage above "True" damage called "Pure" damage or, as it's more commonly known: the Fountain Laser ("Did that just kill me in Zhonyas?"). You can probably see where this is going: an error in coding means we changed Challenging Smite's debuff from True damage to Pure damage, which let it kill things it really shouldn't have. Kind of reminds us of launch Feral Flare. And nobody wants that. Last one we swear. More mana regeneration! When we realized Forbidden Idol was the only item in the game that didn't have mana regeneration that was a multiple of 25%, we figured it would be wiser to bring it in line than to let it sit at an odd 60%. Twisted Treeline's jungle has been updated to account for the 2015 season! With the new 2015 preseason hitting Summoner's Rift, we felt we could port over most of the jungle changes to Twisted Treeline before taking a deeper dive on any map-specific modifications we need to make. JUNGLE PARITY All jungle monsters have been updated to match the same stats / respawn times of the Summoner's Rift jungle monsters. newDOCUMENTATION! You can now Teleport to wards by clicking on the minimap. The UI has been updated per your feedback! Thanks to your feedback, we've moved some more important buffs back to the center of the HUD. The following buffs have been moved back to the center of the HUD based on your feedback! SPIFFY Muramana now has a spiffy toggle effect when active! 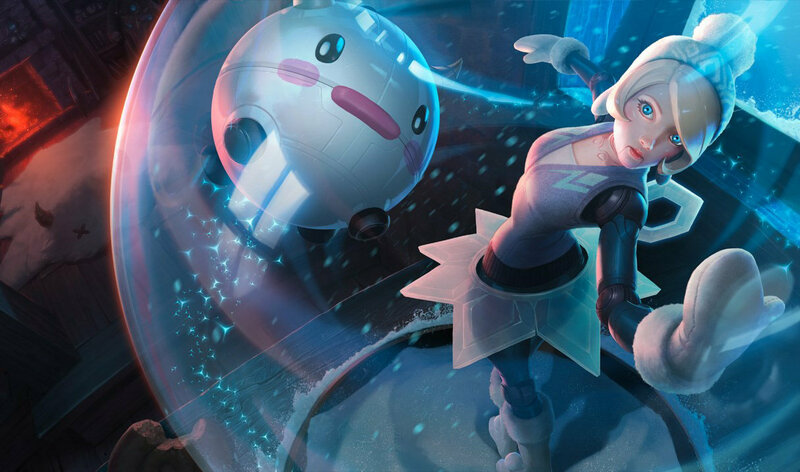 Legend of the Poro King, our next Featured Game Mode, will be released later on during patch 4.21! More information soon - keep an eye out for all the details! These changes will kick off a bit later in 4.21, but we wanted to give you an early heads-up! QUALITY OF LIFE Your last played spec (Champion, Position and Role) now auto-populates when you start a new Team Builder match. This information is also saved across play sessions. DON'T RUSH ME Team members can now continue to adjust their specs while the captain adds solo slots, up until the captain hits "Find Solo Players"
It's been six patches since we launched the visual refresh of the patcher! We've removed the first-time announcement pop-up. Successfully redeeming an RP code now indicates the amount of RP granted. Clarity: Not just for gameplay!